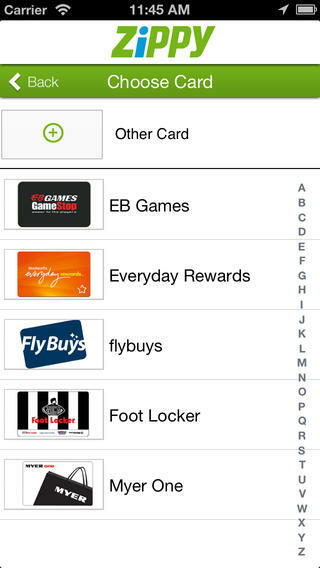 Zippy is a customer loyalty and shopping deals app from Australian company BDS Pty Ltd. When you first fire up Zippy, you’re prompted to sign-up to the service using either your email address or Facebook account – but you can skip this step. 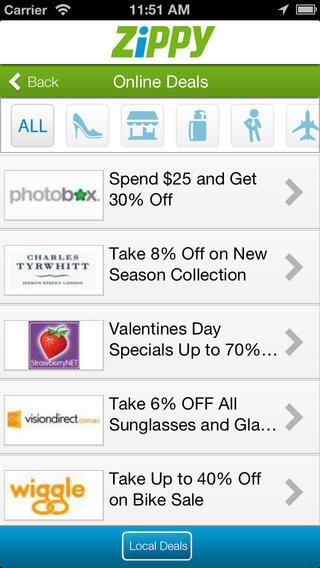 The Zippy home page is a simple menu split into five parts – Scan (QR code), Deals, Spotted, Near Me and Cards. Tap onto deals and you’ll see a list of participating online stores – and there’s a lot of them. The quality of the offers and the number of brands is quite impressive. There are big names like Dan Murphy’s, Target, Big W, Woolworth’s, Sony, Dell, Avis and many more as well as smaller online shops and boutiques. You can scroll through the full list, or use the icons at the top of the screen to filter the results by category (e.g. clothing/footwear or food/restaurants). 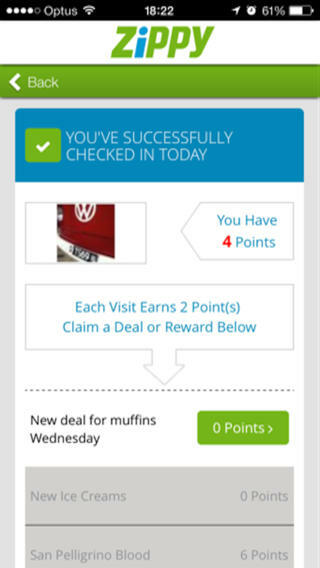 If you like the look of an offer, tapping on it will give you more information about the deal, including the expiry date. Tap on claim to take advantage of the offer – you’ll be taken through to the website of the online store to complete the purchase. The Near Me feature allows you to locate any in-store deals in your local area. At the time of writing, there weren’t any offers available in my location (Adelaide, SA). To access the QR scanner, Spotted or Cards features of the Zippy iPhone app you need to sign in. The cards part of the app lets you store your store loyalty cards as well as loyalty points through participating local businesses. 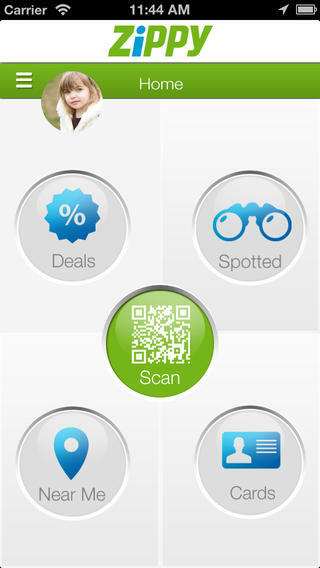 Spotted is an interesting feature, as it lets you take photos of deals and share them through the Zippy app. For the developers, it’s a great way to crowd-source deals in local neighbourhoods and for users it helps to support local business – and you can win monthly prizes. If you live in Australia, Zippy is a great iPhone app to help you save money. At the moment, most of the deals are for online shopping but as the app gains a larger user-base, expect to see more local deals popping up. Zippy requires iOS 4.3 or later. Compatible with iPhone, iPad, and iPod touch. This app is optimized for iPhone 5. Follow Tapscape for reviews of all the top iPhone apps.